Brian Peters, 57, died unexpectedly after a sudden cardiac arrest because of a complication of underlying heart diseases, according to the Office of the Chief Medical Examiner. The Mount Vernon who was found dead last month on a trail at Round Top Mountain in Rome died of cardiac arrest, the Office of the Chief Medical Examiner said Monday. Brian Peters 57, died a natural death after a sudden cardiac arrest, according to Mark Belserene, spokesman for the medical examiner’s office. The Maine Warden Service initially said the cause of death was possibly cold weather exposure, but later said it also might have been a medical event. Peters died immediately March 16 because of a complication of underlying heart diseases while snowshoeing the mountain trail, Belserene said. He had been snowshoeing since 1 p.m. that day on a trail on Round Top Mountain. The Rome Fire Department found his body just after 9 p.m.
“Mr. Peters was well prepared and by all indications did everything correctly,” Warden Service spokesman Gen. John MacDonald said previously in an email. Peters enjoyed what he was doing as well, MacDonald said Monday. He also thinks Peters had been texting his wife at one point while hiking, and had “good communication with his family” about his trip. While MacDonald said he couldn’t comment yet on the cause of death, he said he gives his condolences to Peters’ family. The trailhead for Round Top Mountain is off Watson Pond Road. The trail ascends the 1,133-foot-high mountain and is considered moderate in difficulty because of its distance and slope. 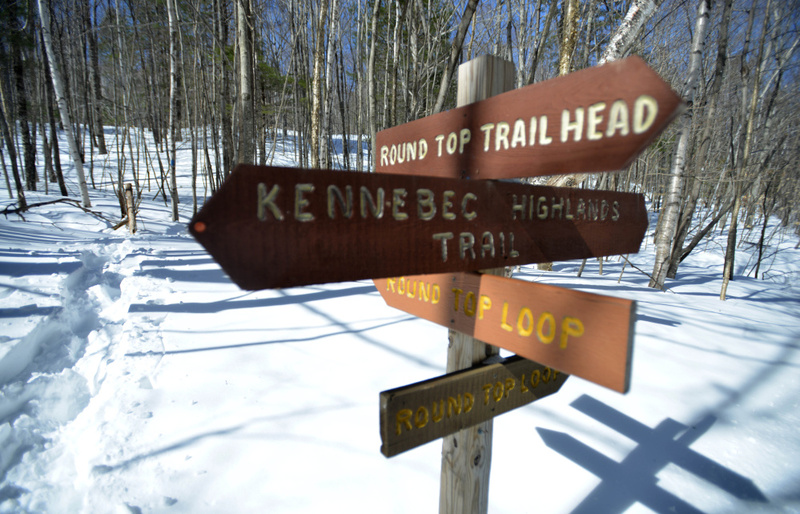 The trail, about four miles round-trip and marked with blue blazes, is maintained by the Belgrade Regional Conservation Alliance, which conserved the land in the Kennebec Highlands through its land trust.